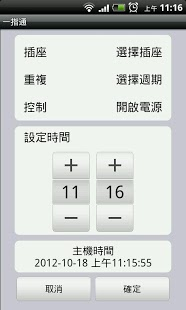 This App is required to work with a hardware “Control box”. Smart Button let you become CEO of your life. Only one touch , life comes EASY. Smart phone become smarter. Fulfill happiness in your life stype. Connect the control box . Wow cell phone become a universal remote contorl. Just one touch. Light up your house. Home security. Protect the first gate of your house. Saving energy and cost. 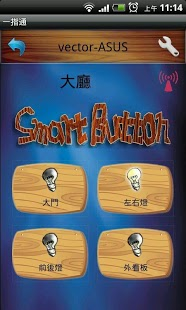 Using your cell phone to open door, swtiches or turn on the light..etc , You only need to install the Smart button App to your smart phone. Let your phone become a super remote control. The control box is tiny , only 15.8 * 10.5 * 3.9 cm. There are 4 power control ports could let you control 4 different equipments. Installation easy , plug and play. Very convenient.